The Chicago Bears have already begun voluntary workouts under new head coach John Fox, but on Monday the team announced when their formal training camp would begin this summer. Training camp, which will once again take place at Olivet Nazarene University in Bourbonnais, will begin on July 29 when all players are required to arrive on campus. The first practice of training camp will take place on July 30. The rest of the schedule will be released at a future date. 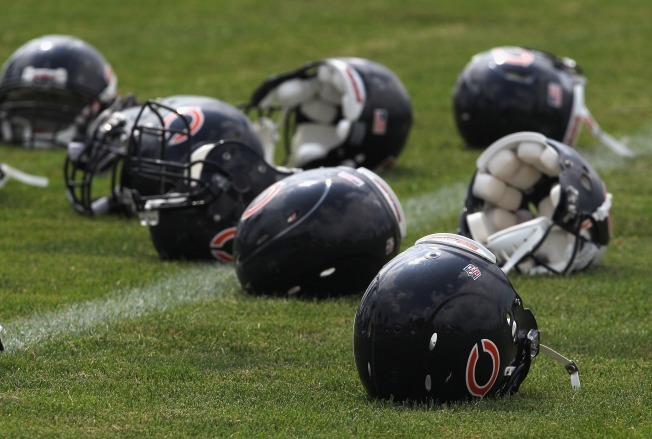 The Bears have been practicing in Bourbonnais since 2002 when they moved from their long-time home in Platteville, Wisconsin. The team has resisted the trend in the NFL of moving training camp either to the team’s own facility, as the New York Jets and Arizona Cardinals have done in recent years, or taking camp to an all-new location, as the Dallas Cowboys (Oxnard, California) and New Orleans Saints (The Greenbrier, West Virginia) have done.